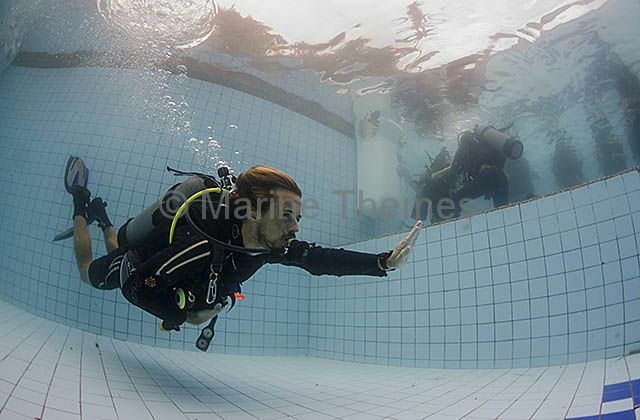 Dive instructor with students practising control of free flowing regulators. Dive instructor with students practising control of free flowing regulators. dive diver diving scuba scubadiver scuba-diver adventure tourist ecotourism eco tourism tourism adventurous discover discovery discovering teach teaching train training learn learning learners begin beginning pupil pupils student students course classroom care caring guide guiding |Dive instructor with students practising control of free flowing regulators. Diver demonstrating "no mask" diving, used to train divers to deal with a faulty, broken or missing mask. Diver demonstrating "no mask" diving, used to train divers to deal with a faulty, broken or missing mask. dive diver diving scuba scubadiver scuba-diver adventure tourist ecotourism eco tourism tourism adventurous discover discovery discovering teach teaching train training learn learning learners begin beginning pupil pupils student students course classroom care caring guide guiding blind blinded see seeing navigate navigation navigating |Diver demonstrating "no mask" diving, used to train divers to deal with a faulty, broken or missing mask. 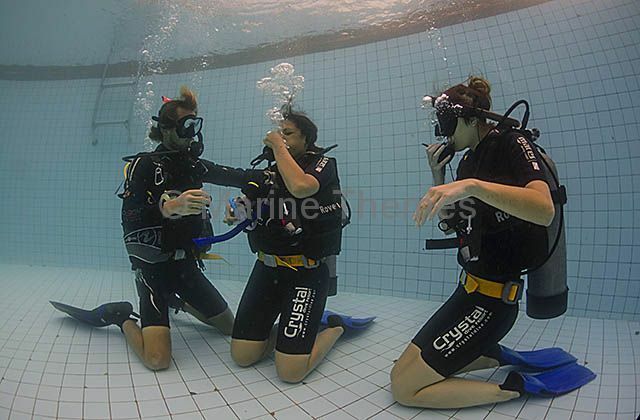 Dive instructor helping students to learn mask removal and replacement while underwater. Dive instructor helping students to learn mask removal and replacement while underwater. dive diver diving scuba scubadiver scuba-diver adventure tourist ecotourism eco tourism tourism adventurous discover discovery discovering teach teaching train training learn learning learners begin beginning pupil pupils student students course classroom care caring guide guiding blind blinded see seeing |Dive instructor helping students to learn mask removal and replacement while underwater. 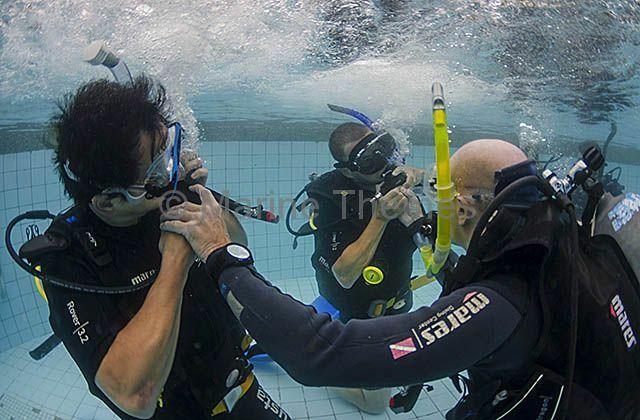 Diver and instructor learning "no mask" diving, used to train divers to deal with a faulty, broken or missing mask. 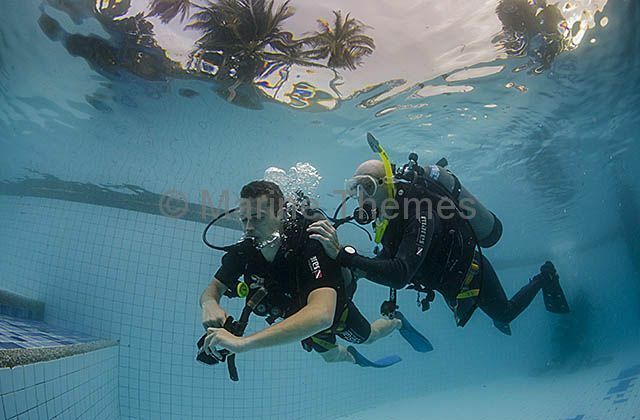 Diver and instructor learning "no mask" diving, used to train divers to deal with a faulty, broken or missing mask. dive diver diving scuba scubadiver scuba-diver adventure tourist ecotourism eco tourism tourism adventurous discover discovery discovering teach teaching train training learn learning learners begin beginning pupil pupils student students course classroom care caring guide guiding blind blinded see seeing two pair couple together duo paired partner partners twin partnership |Diver and instructor learning "no mask" diving, used to train divers to deal with a faulty, broken or missing mask.